Attractive Magenta full net semi stitched lahenga choli that is most fascinating apparel for any wedding or occasional function. 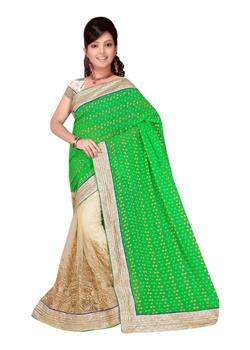 It is having rich thread work in lahenga along with golden border. in addition the stunning blouse with rich zari-embroidery work make it more attractive. It comes with royal blue pure net dupatta.